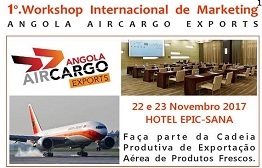 The 1st International Marketing Workshop will be held in Luanda on 22nd and 23rd November for the launch of the Fresh and Perishable Goods Export Centre, ANGOLA AIRCARGO EXPORTS, organised by the Rede Camponesa consortium, with the collaboration of several public and private sector entities, both national and international. The Workshop will be held at the Hotel Epicsana and falls under the scope of the Development Programme for the Export of Fresh National Products Production Chain, from the primary sector (fisheries and agriculture). In addition to producers and exporters, agents, freight forwarders and transport and logistics operators will participate. 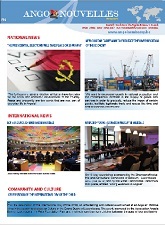 Among the participants, confirmation of the cargo department of Brussels Airlines (BRUCARGO) and one of the largest importers of tropical products in Belgium – Bergamini Group SCRL (touts produits exotiques) were highlighted.